More time and money freedom….MORE TRUST, better connection, and excellent communication with your online audience! you are a special soul that heals other souls. Why not use your gifts to guide you in your own business? How to use Pinterest to create a positive "work flow"
The Law of compensation, to remind you of the energy exchange that must take place while you're "working"
I would love to have you join other beautiful like-minded souls in this journey to "Unlock Your Psychic Medium Online Business"
Taking this course now, will save you thousands of hours searching the internet for ways to build your psychic mediumship business. It will bring you a high vibrational space learn and grow. I’m a Psychic Medium, BUT I didn’t always know that I was. I used to think it was a sin to get readings, because I’m Catholic, and now I’m giving them! Ever since I was a little girl, I was always drawn to the Blessed Mother, Angels, Saints, miracle stories, and crystals. I used to have dreams of flying and I’ve always been extra sensitive to everyone’s energy. My passion is teaching and I actually used to teach 3rd grade for 7 years and have my Masters in Education. Before I get ahead of myself, I want to let you know how my gift was uncovered. During my second day of teaching 3rd Grade the Love of my life, Nick, passed away in a motorcycle accident. My life was seriously flipped upside down. The one thing that got me through each moment was when I was receiving signs from him. He sent me a bunch, including many visitations. I studied everything and anything that would help me communicate with him. I knew in my heart it was all real, but being the human that I am...I wanted more proof. So, I asked him to send me a Psychic Medium that would confirm everything he was telling me. And of course, that’s exactly what happened! When I received that love and validation, I wanted everyone else to experience communication with their Loved Ones. So, for years I gave countless readings to people around the world, without charge. Finally, I realized how valuable my time and energy was and I started charging for my readings. I gave readings, while teaching. I’ve had some amazing mentors and one of them is World Renowned Psychic Medium, Lisa Williams. I’ve studied with Lisa and earned my Psychic Mediumship Certification and became a Spiritual Advisor ™ through Lisa Williams International School of Development. As time went on, my business got very busy and it was time to leave teaching in the school system. I now travel and deliver Messages from Heaven and teach others how they can do the same. Lindsay’s program was a complete game-changer. 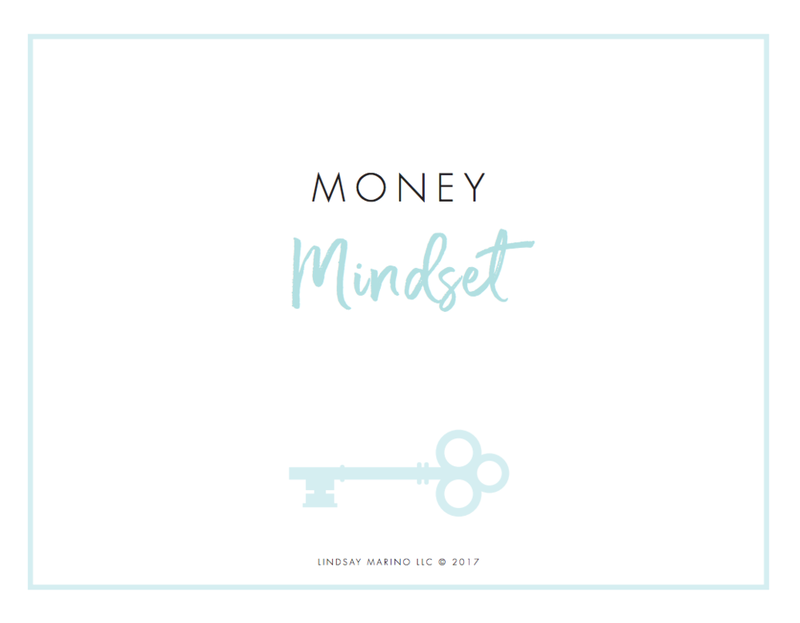 It completely changed my business and mindset around money in general! Lindsay’s program was a complete game-changer for my online psychic medium business. It completely changed my business and mindset around money in general! 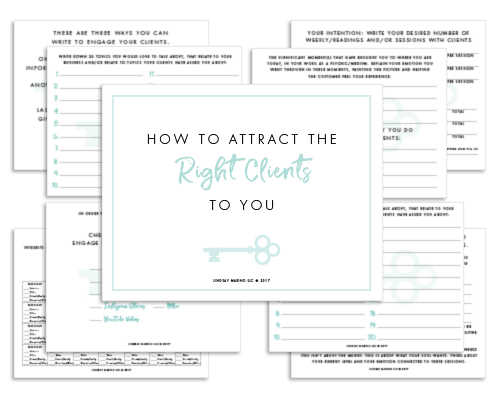 It helped me get clear about my goals and aspirations in my business and how I was actually working against them and blocking some abundance. I felt so empowered to really put my authentic self out there into the world. This course helped me to get really clear and organized about my personal business vision and goals. I was severely undercharging, but was so worried about changing the prices. I was feeling very overworked and drained. Within a couple of days of changing my pricing to something that truly reflected my authentic worth, I had 3 new clients! I now have regular consistent client flow! This program is amazing and I am also so grateful that I can go back and take the course again and again whenever I am feeling a block in my business. I feel instantly realigned and recharged every time I go back to retake the course. I feel so passionate and excited about my work again! This course is packed with extra tips and tricks that will help you take your business to new heights! Thank you so much for sharing your knowledge with us! You so much want to see other people succeed, and that is the most important part because you are spreading that mentality around through your teachings. The whole program is great. I love the fact that you teach about the law of attraction, law of resistance, etc. and how they affect business. All of the information you give us is gold, and then you add bonus material such as special offers on the things you personally use in your business. You so much want to see other people succeed, and that is the most important part because you are spreading that mentality around through your teachings. You are creating a beautiful ripple effect. I can't thank you enough for putting this course together. AS A TEACHER LINDSAY HAS A WONDERFUL APPROACH. They always say when the student is ready the teacher will appear…and she did! I found Lindsay during a time when I truly needed to know if the subtle messages I was receiving were real or just my imagination. I had experienced a life long fascination of sorts with life after physical death and felt I had really come to a dead end. I had read every book and listened to every expert I could find on the subject, but these sources couldn’t validate what I was experiencing because it was so subtle. I saw that Lindsay had a course on intuition and that it would be tailored to the individual. She saw something more in me than I ever did and had me do my first phone reading during our second conversation. I was terrified, but I did it only because she created such a warm and accepting environment. As a teacher she has a wonderful approach. She is so kind and supportive, but she gives you that little push to reach further. I also know that if I felt I couldn’t handle it, she would have allowed me to explore my journey in a way that felt comfortable for me. I truly can’t say enough in support of her and I know she will continue to be a very important mentor and role model in my life for years to come. Having no experience with mediumship before, I wasn't sure if it was the right fit for me. But I followed my intuition and the experience that came next was life changing. Absolutely life changing. Lindsay truly showed me how to unlock my inner medium. I had no idea it was there and so powerful. You will experience growth, no matter where you are in your journey. And you will gain confidence in your abilities. I absolutely LOVED the spirit circles. That was key in me being able to take action with my learning and practice in a safe environment. Without those spirit circles, I would not have gained confidence in my abilities. I loved that the circles were small too. They were intimate and I developed friendships through the circle. We still practice together! I also loved at the end when you set us up with someone to do a distance reading on. That was super scary but another amazing learning experience. Since then I have gotten much better but that was something that taught me a lot about how to do a reading, even though we had been doing them together in the group. Learning with Lindsay is fun and easy! She breaks everything down into simple steps which allow you to take in the new information without feeling overwhelmed. Each small step she teaches you, leads you towards making huge growth in your spiritual journey. She truly has a natural ability for teaching. Plus, she just exudes so much love and positive energy. You can feel the passion she has for teaching this information in all of her video lessons. Lindsay also knows how to help you transfer your learning to the real world through her use of live spirit circles. This was the most impactful part of her course for me since I could take my learning and apply it. Lindsay I absolutely loved this course. It has awakened my inner medium in such a beautiful way and believe it or not, I am sharing my gifts with others and talking openly about it. I would not be where I am today in my spiritual journey without your guidance and support. I am grateful for you. LINDSAY’S ENERGY IS CALMING AND WARM. Lindsay has a gift, a true gift, with the ability to give readings that are accurate and spot-on. Lindsay and I have never met in person, but when she gave me a reading, I felt as if she had known me for years! Lindsay’s energy is calming and warm. I highly recommend having a reiki treatment or reading with Lindsay. After my reading with her, I felt calm and energized at the same time! LINDSAY IS THE REAL DEAL! Lindsay is the REAL DEAL! She gave me a truly compassionate and accurate reading, providing a wealth of information from my beloved grandmother. She helped me deal with my fears and doubts for the business that I am preparing and gave me plenty of courage from the other side of life... I am certainly coming back to Lindsay when I need guidance and reassurance; she is excellent in her job and a sweetheart. Thank you Lindsay! thank you lindsay, for changing my life. Unlock Your Inner Medium actually changed everything for me. I was able to take control of my spirit world experience, my anxiety was almost non-existent by the end, and my house is very peaceful. I was able to tap into my full potential with my abilities. It was pretty amazing. The energy in the Spirit Circle was amazing. It was so much fun practicing and getting validation; it completely built my confidence. Lindsay is a warm soul that makes the learning environment safe and comfortable. Lindsay is the real deal. I wasn't even positive I was a Medium but by the end of this course I was able to see how strong my connection really was and I developed my abilities even further than I thought possible. Lindsay is warm and loving; making it completely comfortable to practice, which is so important to tap into your full potential. She has no judgment whatsoever. I am a medium and this course helped me see that fully. Thank you Lindsay for changing my life. Needless to say I am a believer now. I had a wonderful session with Lindsay and everything she said became true! I had never had a reading like this before in my life and I wasn't sure what I should make of it. Part of me didn't want to believe but another part thought, why not, let's see. She told me to look out for signs and surely those exact signs were there shortly after our session. She also talked about my father and my grandmother in a way she couldn't have known. She knew of an upcoming trip that I hadn't shared with anyone publicly. And she foresaw my huge success which I couldn't even envision myself! Needless to say I am a believer now. This stuff works, just be open to it and have a reading with Lindsay! Lindsay is gentle, encouraging, approachable, and i feel she genuinely wants us to do well. Lindsay is gentle, encouraging, approachable, and I feel she genuinely wants us to do well. She is clear & to the point & she’s great with experiential exercises too, which I feel like is really important for learning. Unlock Your Inner Medium™ helped me to see and trust the signs and tips that I'd be nudged to see. My favorite of the course were always the experiential exercises and our spirit circle! The validation is HUGE & it always felt really safe for me to practice. Even though I don't want to be a 1:1 medium as a biz, it's still so valuable. I use it with family and friends to give them comfort about their passed loved ones, but I mostly use my connection to channel my creative work creations & for guidance around my work & life. AND it gives me comfort, clarity and confidence to know "team other side" is working with me and has my back while moving forward on the lonely, foggy, unknown road that is creative entrepreneurship! Being able to actually give people readings was HUGE for me. It validated that I was doing it, that it was real & it help me trust my "gift" (for lack of a better word) big time! Love her and the course and I'm SO grateful for both! While taking Unlock Your Inner Medium™ my confidence in connecting with passed loved ones has increased and I now feel guided and supported by them on a daily basis. I learned not to censor myself when I received messages. I loved the energy and support of the spirit circle and being able to practice in a safe, guided space. Also my favourite part was automatic writing, which has helped me connect more deeply with my creativity. Go with your instinct, your intuition, if you feel guided to take Lindsay's course. Lindsay creates a loving, safe place to practice and develop your gifts. Thank you Lindsay! You're awesome! If you're still wavering back and forth and you're not sure if the timing is right, check in with yourself. Take a deep breath in and out. Now read everything you're going to get from this course. Every person's journey is different, but I can guarantee that your awareness to your psychic mediumship business will complete shift while taking this course. Q: How long does the course last? A. The course consists of 5 modules and you can do it at your own pace. Each module has a series of videos and homework assignments. Q: How much time do I have to set aside each week, for the program? A. It’s all up to what you’d like to get out of the program. Put aside about 30 minutes a day to listen to the videos, plus put away time to complete the homework. Of course, the more effort you put into the homework, the more you will get out of the course. Q.What if I really know in my heart I'm supposed to do this course, but financially I feel I can't? A. First of all, I don’t want you to be stressed out to the point where you won’t even enjoy the course if you buy it. I also don’t want you starving or losing a house over it either. But, I will share a tip with you that I use for myself. If I pay for a course, service, or electric bill I call it a donation. It shifts everything in my energy. I feel so grateful at the moment I pay, for the time, energy, and services I’m donating towards. The funny thing is, whenever I do something I love, the money always seems to replenish itself. But, I want to help you get clear for yourself. Right now, take your hands rub them together for 5 seconds. Now, put your hands on your heart while closing your eyes. Take a deep breath in and out and ask yourself, is this course right for me right now? See what your body feels. Do you feel peace/excitement/relief or do you feel really tense. Please only sign up if it feels right in your mind, body, and soul. Q.Do I have to hand in my homework? A. No, you don’t have to hand it in but remember if you miss a homework assignment it takes away from your experience. You may share your homework in the Facebook group, with the other students, if you'd like to. What you put into this course is what you will get out of it. If you skip out on the homework, you won't get the full experience from the course and from your online business. Make sure you do the homework. Q.How do I know if this is right for me? A. You will just know. Over the years, I’ve had both students and clients come to me and say that they were pulled in my direction. When your soul is meant to do something, you will feel it. If not, then it’s not for you. Q.If I choose to do the payment plan, do I pay once a month? A. Yes, so for example: If you choose the 6 time Payment plan, you will pay the 1st payment when you sign up, then you will be charged automatically one month from that date, then the next month, and so on. I set this up, so you didn’t have to worry about paying all at once if you needed it spread out. Q.I'm taking another online course right now, do you think I will have the time to do this one too? A. You will have time to take the course, but you also need to set aside time to implement the action steps too for your business too. It's very doable, but it takes commitment. Q.Is there a Facebook group and will you facilitate it? A. Yes, there is a Facebook group for you to share your experiences with other students. This an exclusive group for members of "Unlock Your Psychic Medium Online Business™ students only. I will pop in the group once in a while, but this group is more for you to connect with like-minded students.